Last night for dinner I planned on making my favorite Caesar salmon recipe. While the brown rice was cooking, I told Keith I had been craving Asian rice bowls and that we needed to make them soon. After I said that, I decided to make an Asian inspired rice bowl with salmon and it was so good, we’re planning on having them again tomorrow night for dinner. It’s definitely Friday night worthy! Preheat the oven to 450 degrees. Line a baking sheet with foil and oil with about 1tbsp of oil. While the salmon is baking, heat 2tbsp of oil in a pan with the minced garlic. Once warm, add in the spinach and sauté until fully cooked. Set aside. 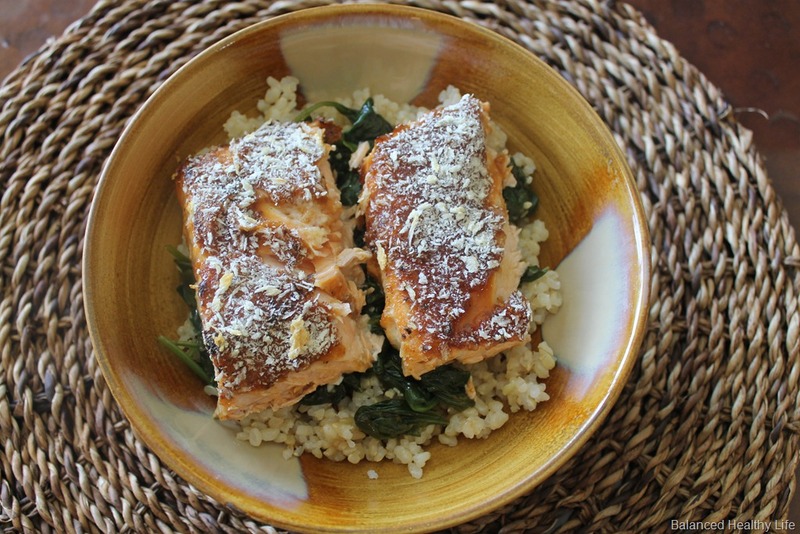 Once the salmon is cooked, you are ready to make your bowl. 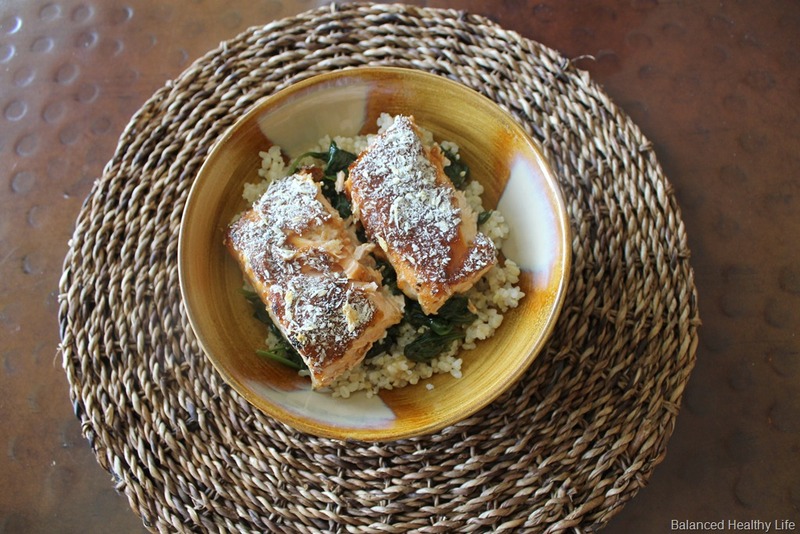 Add brown rice, then the spinach and top with a piece of salmon. Serve and enjoy! This is honestly a great recipe! I love it! Next time we plan to add in shiitake mushrooms and sautéed onions into the bowl, but since we didn’t have any on hand, we just made do with the ingredients we had. A simple yet delicious recipe! I hope you all enjoy it as much as we did! I love rice bowls. They’re so quick,easy and tasty. I’ll definitely have to try making these. This one was amazing! Try it, you’ll love it! this looks delicious! 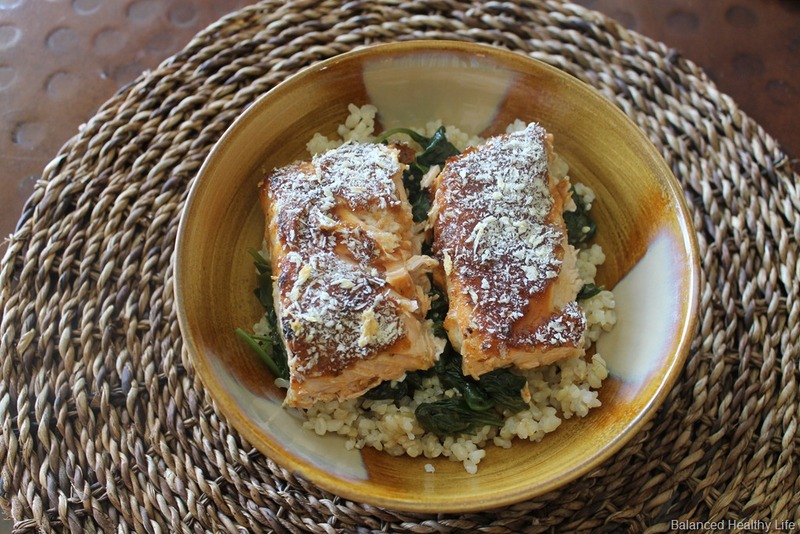 I am always looking for new salmon recipes–can’t wait to try!